Slow moving action that never really grips you. Good story though. After watching Taken and Taken 2, I for some reason had the idea that this was something similar... it is not. It does have some of the same qualities, which mainly revolves around Liam Neeson, but it does not have the same raw brutal feeling about it and in no way has the same constant action pace! Neeson does a decent job playing his part and January Jones is as well plus she is quite pretty. I think the best performance was by Bruno Ganz, but I might be biased as I also think his role was the most interesting. As this is a story where the facts slowly unfolds during the movie I cannot say much without spoiling the excitement. However I do need to criticize the way the newly acquired status by Liam Neeson’s role is handled by the agency in the end. I see the need for it, and at first they handle it quite well, but in the end it just get clumsy and out of hand. As for effects this is well done. A few gun fights, hand to hand combat and car chases. All well done. 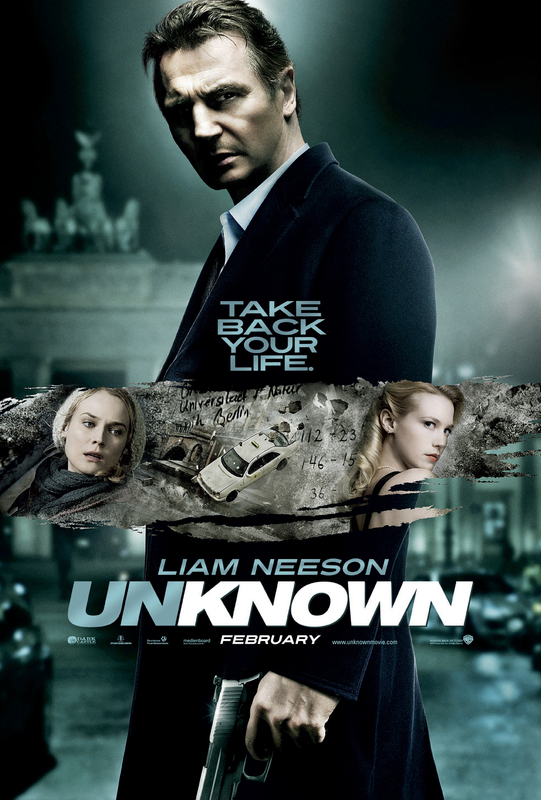 Watch this if you like Taken and Taken 2, or if you are a big fan of Liam Neeson. You could also watch it if you like complicated secret agent movies, but then you might get disappointed. If you plan to watch it together with someone, be sure to lower their expectations. It is above average, but just that.